Practicing what we preach and our operations are all designed around reducing the impact on our environment. We adopt a flexible approach to personal development and the career paths of our students. This allows us to offer support to each student in achieving their goals and success in life. We offer a wide range of courses offering the opportunity to gain additional qualifications in specialised fields. We focus on leadership as this is a vital component of being a successful guide. Punctuality, responsibility, accountability, forward planning and taking control of situations are a key focus for us in developing leadership skills. The Ulovane Mission is to develop exceptional Field, Trails, Marine and Bird Guides who are committed to the Conservation and Eco-Tourism industries in Africa. We offer dedicated, professional and career orientated training with the development of you the learner as the priority. Our attention to detail and personal, hands-on approach ensures the success of our learners. Ulovane Environmental Training has been developing and supporting the guiding industry with highly competent professional and knowledgeable Guides since 2005. The Directors of the Company, Schalk and Candice Pretorius believe passionately that all their learners must leave Ulovane with an amazing, exciting and satisfying learning experience. 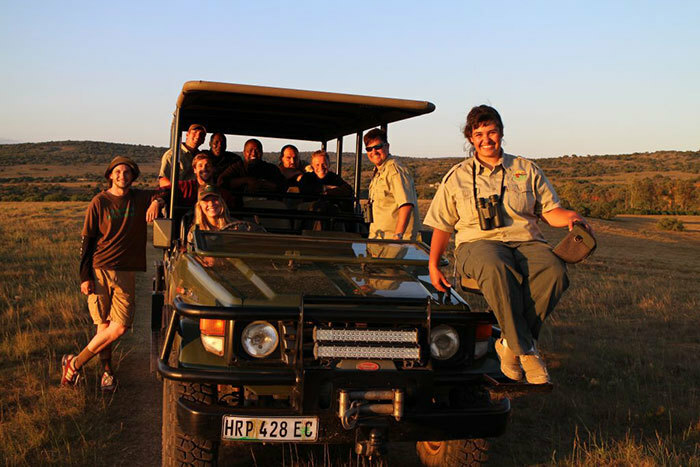 Most importantly they hope their passion and respect for the African bush and its wildlife is ignited. The chameleon corner is the perfect chill zone for the guides to unwind after a hectic week of studies and rushing around. Couches and pool table in an area that can open up all canvas flaps for an in the bush feel, is just wonderful for those social evenings when we braai (barbecue). The 7-week Back-up Trails Guide course generally consists of between 6 and 8 students with a maximum of 16 students. There will be a dedicated trainer for groups smaller than 8 students and two dedicated trainers for groups greater than 8 students. The 4 week Marine Guide and 3 week Bird Guide course generally consist of between 4 and 8 students with a maximum of 10 students per course. There is a dedicated trainer assigned for each course. If the candidate is over 21 South African we will definitely assist with employment, once the candidate has successfully completed all the required modules. If the candidate is 20, we will help them find something as a volunteer, to get the foot in the door. The reason for helping with employment for only over 21’s- is the PDP (public drivers permit), all guides must have this in order to operate a game viewer with guests. The week’s work is generally completed by Friday with Saturdays assigned for sustainable living projects and study time. Sundays start with an exam on the week’s work and the rest of the Sunday is designed to relax and unwind. Some Sunday afternoons will end up on the beach playing volleyball or exploring the coastline where other Sundays you will be able to get out of campus to visit friends and family or to explore the area. After each course, there is a short break depending on the time of year. For example, after the 10 week Field Guide course there is generally a 10 – 14-day break and then return for the 7-week Back-up Trails Guide course. There is generally only a two day break before returning for the 4 week Marine Guide course. During these breaks we suggest go home or travel and exploring the beautiful Eastern Cape and surrounds. All our courses begin with the 10-week FGASA Field Guide course. 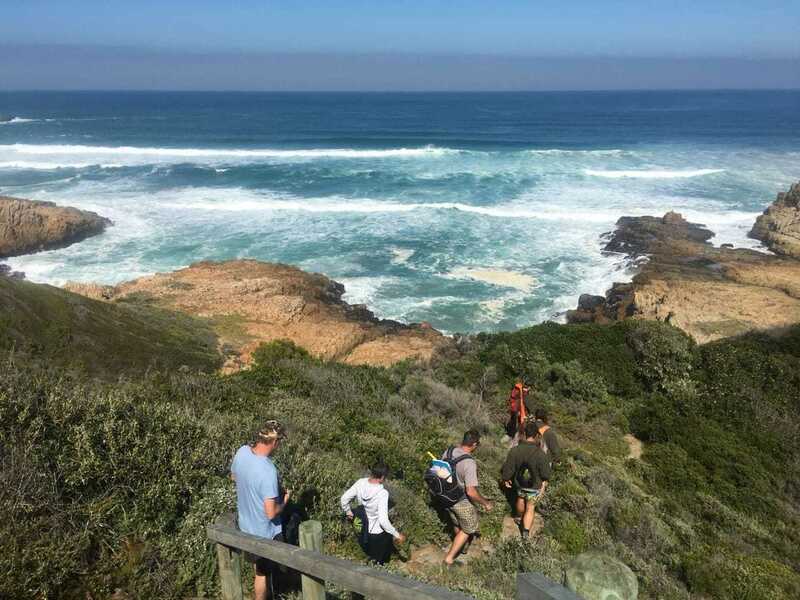 Should you choose to stay longer you would then continue with the 7-week Back-up Trails Guide course, which is followed by the 4 week Marine Guide course and then 6 months placement. We do have free WIFI available at our bush internet café which can be used for emails and blog updates, the connection is not really suitable for streaming videos. Should you wish to have internet access of your own for your room then please arrange this directly with your service provider. Always better to have a backup plan, in case you feel you need to be in touch with family and friends on a regular basis. Grahamstown – 50km away from the campus. You will be able to go to the shops at least every 3 weeks. If you would like to arrange a trip, a fee will be charged for the transfer. Pack extra goodies and be prepared. Pick and Pay deliver to the campus food once a week and you are able to place your own order when we place the campuses order and pay direct when they deliver with your bank card or cash. 10% of the full amount is required as a deposit on Acceptance to the course, bank details will be provided on acceptance documentation. This deposit is to confirm your place on the course and is non-refundable. Full payment required one month before the start of the course. The above fees exclude transfers to and from the airport. Please confirm flight details one month before arrival, so that we can assist in arranging a transfer for you. All unscheduled town trips are for your own account and must be arranged with the staff member on duty. Date of arrival is the day before the course begins. Please ensure that you have given us the correct clothes sizes. There is a housekeeper who will do washing and ironing of uniform and linen. Your private clothing is to be done by yourselves over weekends.